Data is the heart of any business. Therefore Majority of business organizations and institutions are resorting to outsourcing of data entry services. They include offline and online data entry, image entry, entry of e-books, surveys, catalog entry, entry of legal documents, entry of insurance claims, database entry, textual data entry, accounting, entry of manuals, PDF conversion, HTML conversion, XML conversion and many others. For companies opting to outsource, there are too many advantages waiting for them. Number one is cost saving to the tune of 70 percent and delivery of high quality data. 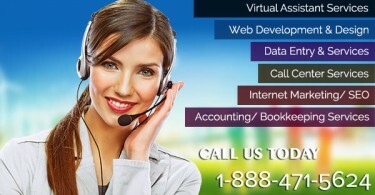 Now the orders are flowing from the US, Canada, UK, and EU to hundreds of well to do data entry service companies. They may be located in off shoring countries like India, Philippines or Malaysia. Business owners always select a data entry service provider only the basis of client testimonials and feedback. The data entry companies help clients to easily manage, track, store, and retrieve business information. Many off shoring and outsourcing companies have state-of-the-art systems; high security standards and latest software applications to deliver cost-effective and accurate data entry services to clients. Companies prefer Data entry outsourcing because it is a complex job and reduces the workload of professionals to save time that can be used for other core business activities.